Ah Hollywood - the glamour and the glitter. With Oscar night just a few days away, it's the perfect time to celebrate the style and elegance that is the stock and trade of the world's beloved Tinsel Town. And nothing says class like a glass of champagne - but not just any bubbly, please. You see, it must be just the very best in order to match the fabulous designer gowns and legendary jewels that are the hallmarks of the red carpet. For over one hundred years, there has been one champagne that stars and producers have used to celebrate their successes and equally to drown their failures - Moet & Chandon, the favorite champagne of Hollywood (and the world). But the fame of Moet & Chandon Champagne did not begin merely because it was favored by the movie moguls of California. The history of this great sparkling wine began centuries before in the court of the French kings who understood the power of luxury long before there was a Hollywood. 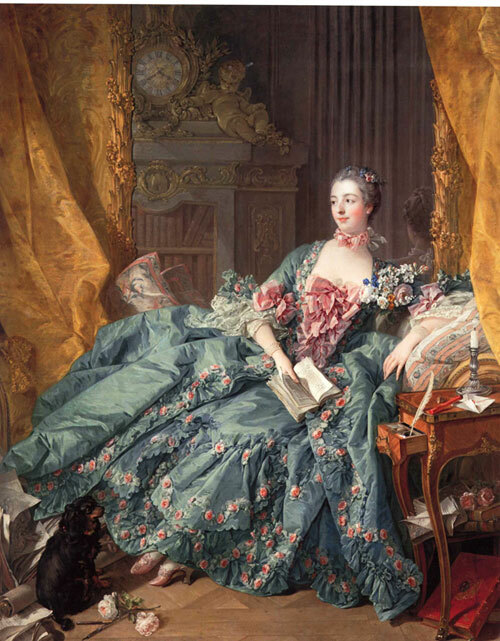 In 1750 the initial firm of Moet et Cie was called upon to supply champagne to Madame de Pompadour, the mistress of Louis XV. As an arbiter of fashion and style, whatever firm Pompadour favored soon became the darling supplier of the nobility. Because the French court defined the elegance that all Europe sought, soon Moet et Cie were expanding their vineyards and their offices throughout Europe to serve the other international noble families. But change was in the air and few of those nobles noticed that the hot winds of revolution was blowing outside the windows of their candle lit dining rooms. For quite some time many major economic problems had been ignored by France's rulers. High taxes, scoring food prices, unequal laws and costly foreign wars brought the final collapse of the centuries old reign. After a bloody period of adjustment, a new government, led by the young General Napoleon, restablished order and once again it was time to celebrate and enjoy champagne. Napoleon himself was invited to Epernay, the chateau home of Moet et Cie, to enjoy with his staff the best sparkling wines available. He loved them all and, as during the rule of the former French Kings, soon the rich and famous of Europe (and America) were eager to drink whatever Napoleon was drinking. Ah fame! 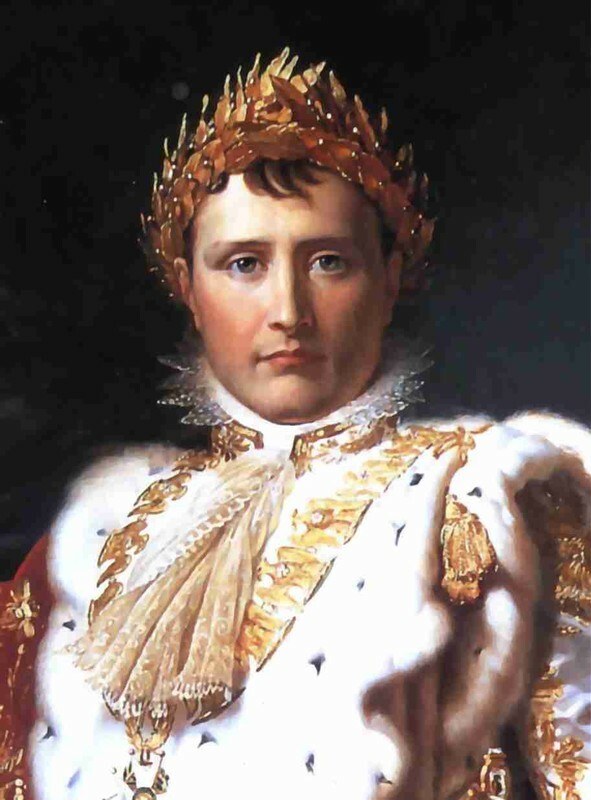 It should come as no surprise that Napoleon's expanding influence and power soon led him to view himself as a great imperial monarch, not merely as the people's general serving the cause of freedom. Not long afterward he crowned himself emperor. Well as they say, pride comes before the fall and soon he too was swept from power at the bloody Battle of Waterloo. The heads of the European states now needed to meet and reorder the confused map of broken nations leftover after Napoleon's many military campaigns. Vienna was chosen as the conference site and, of course, there had to be champagne, lots of champagne to drink. With peace restored, soon everyone from the Russian Tsar Alexander II to Queen Victoria were enjoying Moet & Chandon again, now renamed to include the name of a new son-in-law, Pierre-Gabriel Chandon de Briailles, who had joined the firm. Now the leading producer and exporter of French champagne, the employment practices implemented this great champagne house were far ahead of the times. Over 2,000 employees enjoyed free medical attention, housing assistance, retirement pensions, maternity benefits, paid sick leave and free legal aid when needed. And this was all in 1872 at the height of the often indifferent industrial revolution then sweeping the world! As you might imagine, Moet & Chandon's employees were very loyal so much so that by 1880 the firm was producing 2.5 million bottles of champagne, largely enjoyed by the upper classes. Yet soon all that would be shattered by the blast of endless cannon fire as World War I erupted not far from Moet & Chandon's priceless vineyards. After the destruction of World War I, the manor at Moet & Chandon was rebuilt and a new champagne blend introduced: Dom Perignon. Named after the humble Benedictine monk who worked for decades at his monastery exploring the properties of the region's unique bubbling wine, it was soon the darling of the fast and wild flapper generation of the 1920's, who danced and drank to forget the horrors of the past war and rushed into all that was modern. Once again the fortunes of Moet & Chandon soared but meanwhile a dark shadow of hate was slowly spreading out from Germany in the form of Nazi power and deceit. Once more war devoured Europe and the German soldiers who occupied France demanded bottles of the now world famous wine to celebrate their 'victory'. Enraged restaurateurs in Paris and in France's other leading cities chose instead to hide their legendary champagne behind false plaster walls. With smiles on their faces, the wine stewards poured the poorest champagne they dared as a substitute and then attached a Moet & Chandon price tag! It was a small victory, but one that kept hope alive. 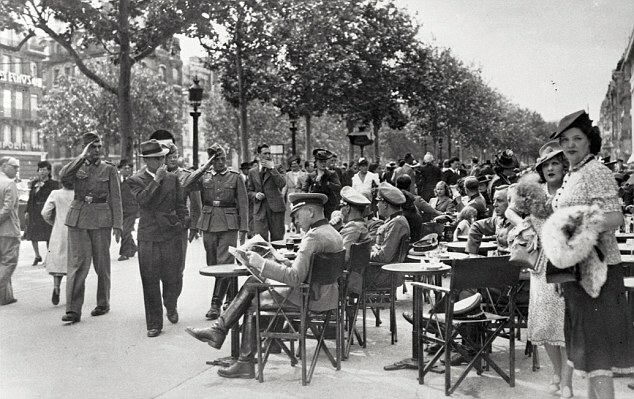 After four long years of occupation, France was finally freed by the Joint Allied Forces. Joyous chefs and sommeliers broke down the protective walls and reclaimed their treasured bottles of Moet & Chandon as they celebrated a return of freedom and choice. With peace in 1950 Count Robert-Jean de Vogue became the director of Moet & Chandon and made the decision to transform the long family-owned business into a modern corporation or "Societe Anonyme" to use the French term. 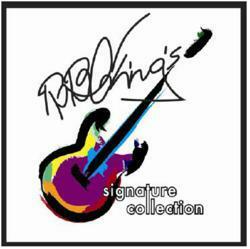 The resulting reorganization prompted the greatest expansion of sales the company had ever experienced. The resulting funds soon enabled the firm to purchase their first out-of-winery investment: Parfums Christian Dior. Then in 1971 the firm merged with the legendary cognac firm Jas Hennessy. Two years later in 1973 they opened the esteemed Domaine Chandon winery in California. One final merger with Louis Vuitton gave birth to the largest luxury marketing group in the world, one whose influence you will see up and down the red carpet during Oscar Week. One can only hope that with such a tale of courage, war, kings, queens, mistresses and monarchs, Hollywood will one day make a movie about this legendary wine and, of course, serve Moet & Chandon at the Oscar celebration! 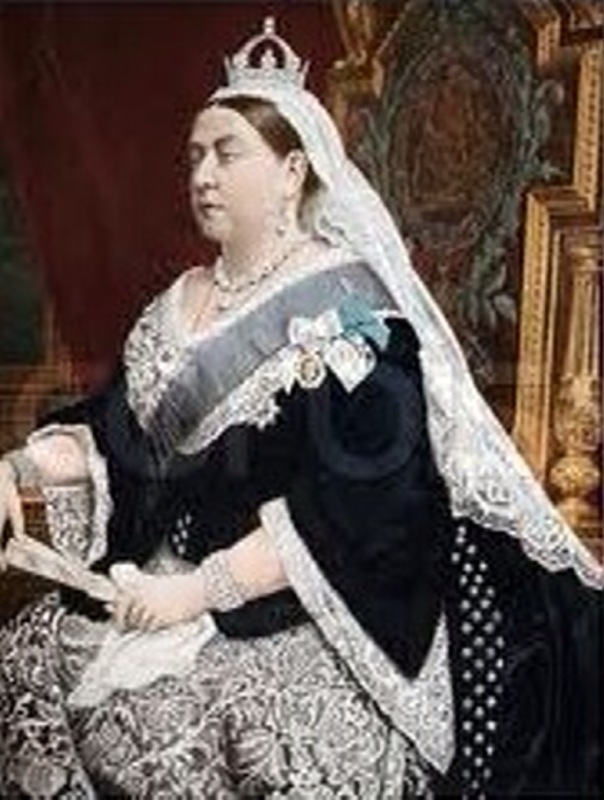 Posted on February 23, 2011 by Ana Kinkaid and filed under Champagne, Courage, Elegance, Films, French Cuisine, Hollywood, Movies, Restaurants, Style, Wine and tagged Designer Gowns Dom Perignon Domaine Chandon Jewlery Moet and Chandon Champagne Napoleon Nazi Oscar Pompadour Queen Victoria Vienna.